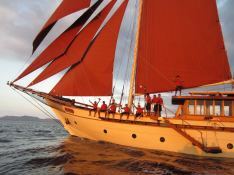 Constructed by Konjo Boat Builders, Si Datu Bua was created with the highest quality materials which resulted in a premier vessel that not only reflects the cultural heritage of the Sulawesi but also the essence of the spirit of Indonesia. 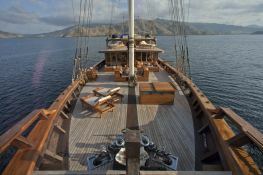 The crew will take you to the undiscovered islands of this magnificent archipelago allowing you to experience the lifestyle, history, culture and traditions of the Indonesian people. 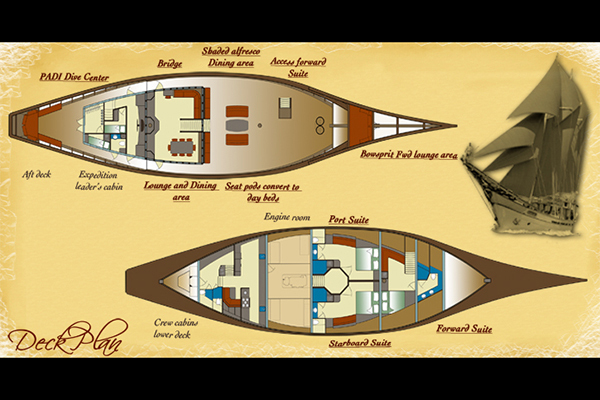 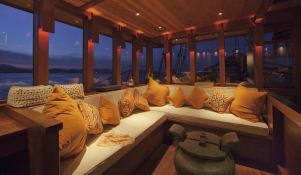 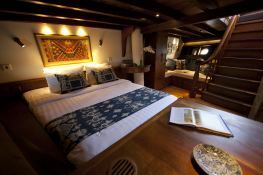 Enjoy diving, swimming or snorkeling in the best spots in the world or simply lie down and relax under her sails. 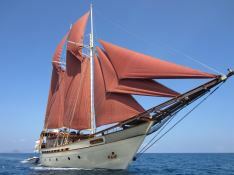 This Si Datu Bua is available for yacht charter with a base price of 84 000 € (approximatly 94 731 $).